FAIRFAX, Va. — Expectations can be funny things. They are rarely met, exactly. Sometimes they are exceeded, sometimes missed. Even when they are fulfilled, the process often looks nothing like the one you envisioned at the start. So it is with George Mason this year, a team that stands right about where they were expected to be at the beginning of the season, but one that has taken an unexpected path to get to that point. If head coach Dave Paulsen’s crew has its way — and if what’s happening behind the scenes is any indication of what’s to come — the Patriots may have a few more pages to add to the script before the year is done. Everyone knows GMU’s March history from their magical Final Four run in 2006. But the team hasn’t won a regular season conference title since 2011, when they made the NCAA Tournament as an at-large entrant, taking out Villanova in the first round. That was their last trip to the Dance. Since joining the Atlantic 10 in 2014, the Patriots have had just one winning season, and haven’t been above .500 in conference, compiling a total record of 31-57 in A-10 play coming into this year. Still, this season they were picked to finish fourth in the 14-team league. They’re sitting on 10 conference wins with two games still left on the schedule, the biggest coming Tuesday night in Fairfax, with VCU coming to town. But how they’ve gotten there hasn’t looked like anyone would have expected. “We thought we’d be really good from the beginning, and we struggled a little bit early on,” Paulsen told WTOP before a recent practice. “We struggled, I think, with those expectations. Mason stumbled out of the gate with a loss at home to Penn. Then they dropped an overtime game to American. They gave up 98 points in a road loss at Georgia State. 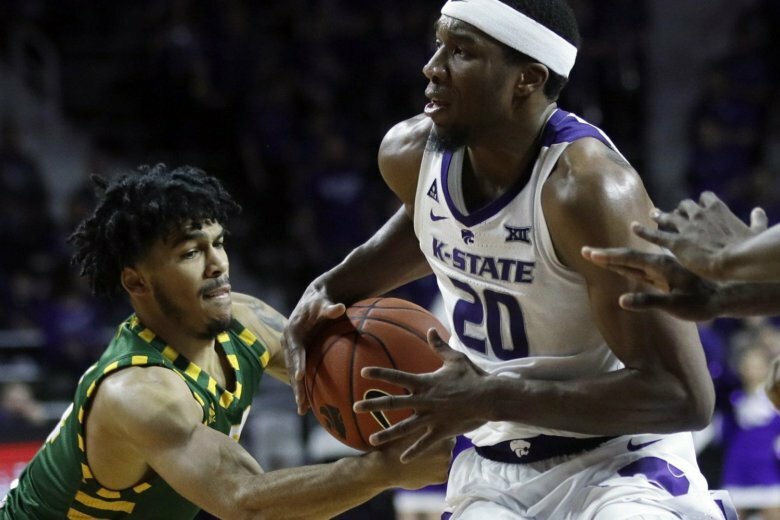 With a chance to atone for the early stumbles against NCAA Tournament caliber competition in the Emerald Coast Classic, they lost by double digits to Cincinnati and Baylor. The Patriots headed to Thanksgiving break at 2-5. The Patriots were returning every scholarship player from last year, the kind of foundation that led to the high expectations. But fellow senior guard Jaire Grayer, the team’s leading rebounder and number two scorer behind Livingston, has been out since the Baylor game after reinjuring his foot. Even so, the team got on track, winning four of its next five. Just before the New Year, the Patriots roared back from a 21-point deficit and nearly took down Big 12 title contender Kansas State on the road. Mason won its first two conference games, but in a home loss to Davidson, another starter, sophomore forward Goanar Mar went down with a broken foot. You may not have turned your attention to college basketball yet, but it’s never too early to look ahead to which teams might be busting brackets come March. As not just a senior but also the point guard and leading scorer, Livingston was already the most important player on the floor. He’s also been the barometer of Mason’s success. When Livingston scores more than 10 points, Patriots are 14-5 (they’re 2-8 otherwise). When Livingston commits three or fewer turnovers … they are 14-5. Still, he needed help. Down two starters, sitting at just 8-8 after a disappointing start, the season could have spiraled out of control. But unlike last year, when he had only eight scholarship players, Paulsen had more depth at his disposal. 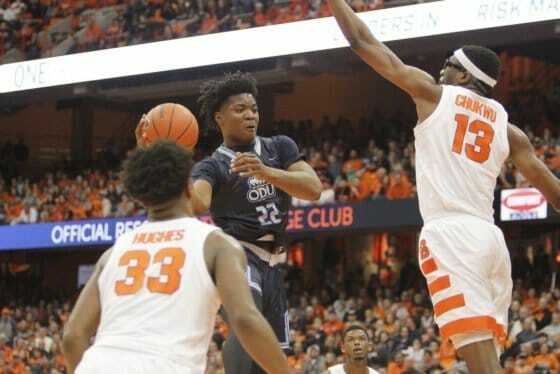 After initially deciding with freshman Jordan Miller that the forward would redshirt, the coaching staff made the rare decision to burn the extra year of eligibility and turn to him midseason. Miller has been an immediate difference-maker. He scored 14 points in 23 minutes in his debut off the bench and has started ever since, shooting 61 percent from the floor and notching three double-doubles in 13 games. The team raced out to a 7-1 start in the A-10. Practice is the reason there’s been no panic, despite the slow start, despite the additional injuries to junior guard Ian Boyd (wrist), sophomore forward Greg Calixte (concussion) and freshman guard Jamal Hartwell II (knee), as the team has lost three of its last four heading into the final week of conference play. The players sensed it as well. “We just started playing more as a unit. We just started playing like how we did in practice in games, and it showed up on the court,” said Miller. Nobody wants to talk about it, but everyone knows just how big of a deal it would be to get into the top four in the league. A top-four finish earns a double bye to Friday of the Atlantic 10 Tournament, meaning you need only three wins in three days (instead of four wins in four days, for the 5-10 seeds) to steal a bid to the Dance with the automatic bid that comes with a tourney victory. The Patriots own the tiebreaker against Dayton (11-5 in conference, tied for 3rd), but not against Duquesne (10-6), and they split with St. Bonaventure (11-5) this year. If more than two teams end up tied for the fourth spot, well, there’s a whole set of explanations of the various scenarios here, but suffice it to say that if Mason wants to finish in the top four, they’d be best served winning both of their final two regular season games. That starts with VCU Tuesday night. The Rams have won 10 straight, are playing for a chance to clinch the conference regular season title, and pulled away late from the Patriots for a 79-63 win in Richmond in early February. In that contest, VCU hounded Mason into 15 turnovers and held the Patriots to just 2-19 from behind the arc. But the road to March Madness will likely go through VCU come A-10 Tournament time anyway. For George Mason, now is as good a time as ever to exceed expectations.